It has been said that the birth of your first child is the kind of event that shapes the rest of your life. Your priorities shift as you learn to put the newborn's needs before your own, and the whole worlds seems like a much brighter place to live in. For Miami's local serial killer, Dexter Morgan, the birth of a young daughter ignites emotions he never new he possessed and threatens to disrupt his "Dark Passenger". As the novel opens, Dexter is, surprisingly, in a state of blissful awe, following the birth of his daughter. Readers of the previous installments will recall that, while Dexter originally got involved with his wife Rita in an attempt to hide who he really is, he has found that he actually cares for her and her two children, both of whom seem to harbor "Dark Passengers" of their own. As he recognizes that he is responsible for the well-being of his family, Dexter vows to end his homicidal acts of vengeance. Unfortunately for Dexter, he is called to help investigate the disappearance of a high school girl who seems to be caught up with a group of people who think they are vampires. 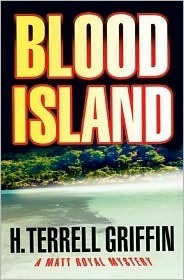 When the body of another teenage girl is discovered, Dexter realizes that is dealing with full blown cannibals. As he races to help save the kidnapped teen, Dexter must face his own demons and choose between the perfect family life and the darkness inside of him. 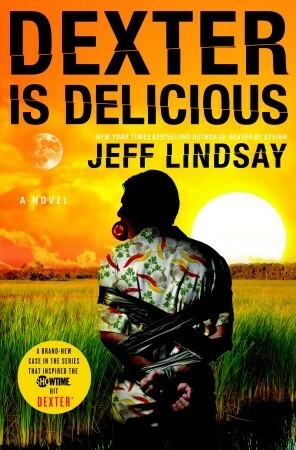 This is the fifth novel in the popular series by Jeff Lindsay, and this was the best book in the series by a long shot. While the previous installments all contained snappy dialogue, a fascinating main character, and fast pacing, they all left me feeling as if they had ended too soon, without a proper conclusion. In this novel, Lindsay manages to keep all of the things that worked in the other ones, while adding a renewed depth to the characters and the mystery that drives the story to a satisfying conclusion. As with the other novels, the bright Florida setting provides the perfect backdrop to juxtapose this truly dark tale. For the first time, Lindsay allotted some time to develop the characters outside of the Dexter Morgan Family arc, and this made them be something more that simply plot points. I really enjoyed this novel, and I look forward to reading the next book in this fascinating series. I have a soft spot for anything that has to do with World War II. Ever since first learning about the events that took place during that time, particularly the horrific genocide in Germany, I have been fascinated by the history. 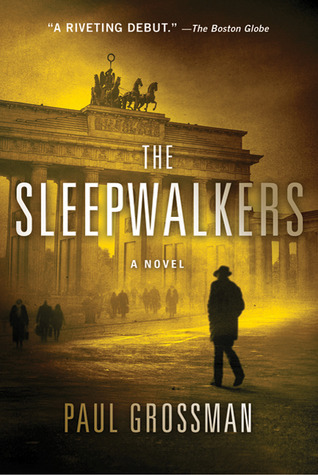 It seemed only natural, therefore, that I should read Paul Grossman's debut novel, The Sleepwalkers. As a Hitler led Nazi party threatens to take control of the German government, Berlin detective Willi Kraus finds himself at the center of a strange murder investigation. A mysterious young woman if found, dead in a Berlin river, head shaved and legs seemingly turned in the wrong direction. As Willi, a Jew, begins to investigate the death of this savagely deformed young women, he begins to face a strange lack of support from his superiors. With little help from his agency, his stress only increased as he is called to investigate the disappearance of Bulgarian princess. As he looks into both cases, he discovers a connection between the two, and finds that a large amount of women have disappeared, under similar circumstances, over the past year. As Willi digs deeper and deeper into these events, he begins to uncover the prelude of what the Nazi party was preparing to do and must try to save his family, himself, and his country before it is too late. In his debut novel, Grossman masterfully weaves historical fact with his engaging world of fiction to make a heart pounding thriller, and to bring a new perspective to the WWII genre. The detective, Willi, as well as the supporting cast of characters all contain qualities that make me invest heavily in their endeavors. It seems that, because I was familiar with what was going to happen historically, I couldn't stop reading to see how these characters lives interacted with the history. This novel was the perfect companion for a rainy afternoon, and appealed greatly to my love of history and mysteries. I came upon this book through the recommendation of a friend. He warned me that it would be unlike any novel I had read before, so I entered this story with excitement and curiosity. 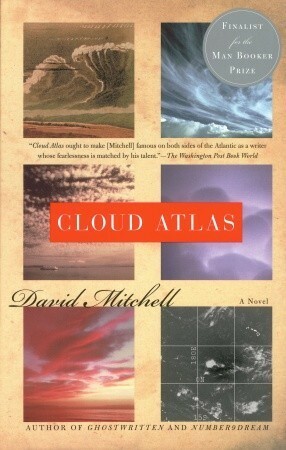 In Cloud Atlas, author David Mitchell has proved that he has the technical capabilities to write anything that his heart desires. A master of construction and dialect, Mitchell combines six separate stories into a fascinating novel that spans from the 19th century to a distant future. The novel begins with the story of Adam Ewing, an American notary who is on a ship, headed home. Presented as Ewing's personal journal, Mitchell wonderfully captures the voice of a homesick man, full of religious zeal. When a black, foreign stowaway is discovered on board, Ewing fights to keep the man away from the harm and racism of the captain and crew. When Adam begins to feel ill, his only friend on the boat, Dr. Henry Goose, begins to treat him for a "poisonous worm" living inside of him. With the threat of death, Ewing struggles to maintain his morality in the seemingly sinful environment of the ship. Abruptly, the novel jumps to the early 20th century with the letters of a young aspiring English composer, Robert Frobisher. He finds himself in Belgium, short of financial stability and a clear musical direction. He seeks out local composer Vyvyan Ayers, whose music he sees a revolutionary, to become a kind of understudy to the ailing composer. Ayers accepts the offer and begins to have Frobisher assist him in writing new music. Unfortunately, Robert finds himself in the middle of a forbidden affair, and begins to feel that Ayers is taking advantage of his own musical ideas. The story of young American journalist Luisa Rey, reads like a fast paced thriller. The year is 1975 and Luisa, who is struggling to overcome the shadow cast by her famous journalist father, believes she has found the story that will provide her with her big break. As she attempts to uncover the reported corruption of a local nuclear company, she finds herself entangled in a web of conspiracy, love, and murder. Timothy Cavendish is a sixty-something publisher who finds unexpected success after his client, a gangster who recently published his memoirs with Cavendish's company, murders a critic at a local event. The client, of course, is sent to jail, and the novel becomes a bestseller. With his newfound wealth, Timothy seems to be living the high life. When the brothers of his client attempt to violently persuade Cavendish to give them the money from their imprisoned brother's book, he flees the city. Unfortunately, he mistakes a nursing home for a hotel and finds himself unable to escape. Sonmi-451, a genetic fabricant, created to serve food in a fast food restaurant of the dystopian future, is being interviewed about her escape and rebellion of the established society. She tells of how she was able to leave the restaurant, and discover how she, and others like her, have been taken advantage of by the established society. As she amasses knowledge she was never supposed to posses, she begins to feel emotions and make human connections that were never intended to be possible. In the very distant future, we find Zachary, a primitive member of a tribe who is learning to face his fears in this strange world. After the death of his father and the capturing of his sibling, he blames himself for not preventing the attack. When a woman, a visitor from another group of people who seems to have more "knowledge" than Zachary's tribe, moves in with his family, he must face new threats to his tribe's beliefs and ways of life. The stories, except for the one about Zachary, are all interrupted in the middle, giving the novel a kind of ABCDEFEDCBA arc. Mitchell ties this all together by making each new character the witness, mostly through reading, of the previous character's story. I think that each character could also be interpreted as a reincarnation of the previous because they all seem to share a similar birth mark. With each story, the author adapts to a different style of narrative, making some of the tales read easier than others. Notably, the strong dialect of the middle character makes his story nearly impossible to comprehend. Despite his ingenious presentation and construction, I couldn't help but feeling a bit disappointed at this end of this. The novel can be such a chore to read, that I didn't feel that I got some revolutionary message at the end of this, otherwise, expertly crafted story. Despite being glad that I took the time to read this unique novel, I can't help but wonder if my time would have been better spent reading something with a deeper meaning.